What pet has given you the most satisfaction? This is really a masked request for advice. I'm a new(ish)bie who's been reading the board for about a month now, chuckling or nodding appreciatively as the case may be, and have finally gotten up the nerve to post because... um... IsomehowgotaFountainFaeriequestandamnowparalyzedwithindecision. No, really! I'm not sure what to choose! My acara's angry expression is starting to really piss me off (though that might just be bad temper from stress) and I'm thinking about creating a new pet. I feel like I should take advantage of one of the fountain-specific or very expensive colors, but am not sure I am crazy about them. So I ask - what pet/color combination (converted, that is) has given you the most lasting enjoyment? I kind of like the Maraquan Shoyru and JubJub, or the Relic Shoyru, but am not sure if those are passing fancies or not. Bear in mind that I had an account way back in the days of the Mystery Island plot, and I thoroughly disapprove of customization. This means that the ability to wear clothes, etc. is a non-issue, and that I LOATHE the Fist of Doom. Hopefully y'all will see me elsewhere on the boards from now on - though as I lack much aesthetic sense, I'm not sure how much I can actually contribute! Re: What pet has given you the most satisfaction? For my converted pets, I only have those that look like redraws or don't stray too far from the pet's original look. So no fists & as much prettiness & elegance as possible post-conversion. I think Maraquan is probably my favourite colour in that respect. The following two pets have given me the most lasting enjoyment (in the sense, I guess, that I don't hate them for being converted and wish I had something else instead) -- Asteyr and Dyhol (who was given to me by Madge). Another maraquan I really like is the mara draik, which is also (I think) largely unchanged from its pre-conversion state and is therefore winner! Same deal with the mara shoyru that you mentioned, and the maraquan korbat I believe. There are probably more, I can't think of them off the top of my head. There are some pirates out there that still look totally awesome. I really like the pirate lupe & the pirate eyrie (I have Kyever). The pirate lupe avoided the fist o' doom, being a quadruped. I have one, and adore him with his scowling expression. I've begrudgingly accepted customization after a lot of time, but its nice to know there are still people resisting. Really, most of your quadruped species in plushie, pirate etc. will avoid those horrid fists. As mentioned above, Maraquan pets usually avoid the stupid fists as well. I can't blame you for wanting to make a new pet and enjoy one of the ridiculously expensive species options while you can. Speaking of, relic is currently in that boat, but I can't help but think it'll plummet in price if there isn't any variety in the pets and the brush becomes halfway decent in release rate. Of course, you always have the option to wait. Its lovely that those quests don't vanish and you can sit on it til you find what you like. Best of luck deciding. Thanks Tiel for the lovely set! As far as creatable converted pets go, I would go with the Maraquan Korbat. I morphed Kazec 2 years ago, and is another "unchanged" pet. 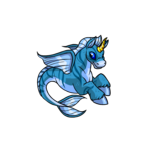 Converted maraquan pets are your best bet as far as being worth using a FFQ on. If you did happen to be fortunate enough to own a draik, I would also go with maraquan. Looks completely unconverted I'm not a fan of quadroped pets,because they still don't look like 1.0 pets, but peophins are the only species improvement in basic colors and some redraws. Maraquan really does look like the best way to go, though I haven't given up on Pirate yet. The Pirate Lupe and Eyrie both look great! Alas, the Pirate pets whose look I like best are either in species that I don't care for (Nimmo, Ruki - although the Ruki is more "British Royal Navy" than "Pirate", it still looks good) or have a particularly galling Fist of Doom (Xweetok). We will see! Relic and I are no longer on speaking terms. It has disappointed me tremendously. The mara shoyru has no fist of doom but a broken flipper. Since they haven't exactly done anything as far as customization goes with mara pets this still makes me sad. (I have a mara shoyru) They could have left them alone. I like the mara jubjub, so I cast a vote for that! Although the Darigan Peophin was grandfathered, i converted mine to get away from those freakishly long ears and tail - though he lost the slick, shiny mane and tail hair in the process. I still have a soft spot for the old Darigan Peophin, but for the main pose i do not regret converting. 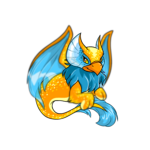 My other main permanent pet is my Electric Eyrie. It's not really a fancy color, but it's my favorite if done well and is pretty well done on the Eyrie. Unless something SUPER fantastic comes out that i cannot resist for them, they will remain like this forever. Neither of these species suffers from fist-o-doom. Again, thank you. Y'all have given me plenty to think about.